Rebecca graduated from the University of Bath with a First Class BA degree in European studies with French and Italian in 2008. Thereafter she completed an LLM qualifying law degree at Birkbeck College, University of London, graduating in 2013 with a Distinction. 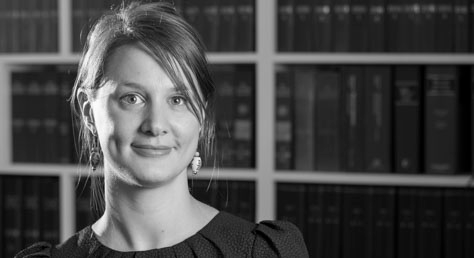 Rebecca joined Wilsons in 2014 and qualified as a solicitor in November 2018. She is an accredited level 2 caseworker, specialising in all aspects of asylum and personal immigration. Following her undergraduate degree Rebecca spent time living in France where she volunteered at Salam in Calais, a group that provides meals, clothing, and support to migrants and asylum seekers. She also has experience of mentoring a failed asylum seeker, providing practical support in efforts to obtain subsistence. She volunteers at the Waterloo Legal Advice Service and is an active member and Trustee of Trinity Vineyard Church. Interests: Travel, hiking, food and family.